Are you girl and now you are seriously thinking to close your current mobile number and want to buy a new number because of so many unknown calls and messages. Don’t worry…. I think I have a solution. Now days this is a common problem of many girls, who are targeted by many unknown messages by strangers. These strangers may be your class fellows, or online surfers, friends of your friend, or may be from your local area. Means this is not necessary that they know you, they just give a try or in other words they just through a fish hook in water, they don’t know whether the thing which comes in their hook is what? It may be a fish of any type or may be plastic bag or any other stuff. I think these strangers are on the lowest level of humanity, because calling unknown persons specially girls whom I think are the mirror of country or a representative of their nation; so these prank calls and messages with foolish words give them a feeling of insecurity, which cause to decrease in their level of confidence and in result finally they take serious steps which give a bad affects on their social life, their personal life, etc. These strangers are normally in age range of 15 years to almost 32 years. They are like black spots on whiteness. They just use a mobile technology in a bad sense. To become safe from these attacks of strangers first point you should have to know that how they get your number, they are multiple of sources of getting girls mobiles numbers, and now here i am going to share 11 ways which i think are mostly use by strangers specially to get girls mobile numbers. Recommended: Is Stealing of Wi-Fi Signals is Crime? 1. If you’re in contact list of any person and his mobile is snatched or stolen or lost then there is lot of chances the person who got this mobile will surely give a try to these numbers. 2. The second source is internet, yes through internet, there are multiple of website specially doing big business in Pakistan, India, etc, countries showing thousands of girls numbers on their websites for just attracting millions of visitors and earning thousands of dollars. They even don’t care about it that the money which they are earning through this way is not legal, and their money is unlawful (HARAM). 3. 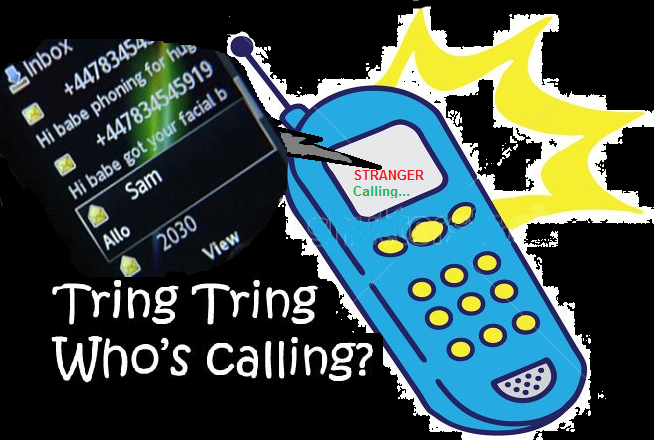 These unknown callers may get numbers from their friends, who give it because they want to tease them, by any reason. 4. By stealing your contact from their friend mobile contact list. 5. Facebook is also a big source of getting numbers of girls and boys, facebook recently starts mobile verification and mobile notification service. In which when you enter your number it starts showing in your contact information or profile, at the bottom. 6. In many cases they get your contact number from identity cars. Now days there are multiple of school and universities or any other institutes or organization on which your contact information is also printed. 7. Sometimes people are in fast, and they simply write contact information of friends or relative on their diary, paper, notebook, book, etc. this is the simplest source of getting numbers. 8. The another way which they use is, when you go to shop for recharge your balance, they stand behind or aside with you and when you tell your number to shopkeeper they remember or save your number, or in many cases shopkeepers are being the main source of spreading these numbers. 9. The next source of getting numbers is business cards. 10. One of next major source of getting specially student girls numbers are their CV’s (curriculum Vitae). 11. And in last, and in majority cases, they didn’t get your number from any source they just dial any number, and in some cases this number is your number. How to get protected from attacks of unknown (strangers) calls and messages. HI, i am interested in having a text link exchange with you, are you to interested ? u use a a very strict language for strangers..:D but i think they deserve it... because they cross their limit... and i really like your point number 10, because i have little experience of it...then i search what the heck is that.. why iam getting unknown calls now a days.. then i realized that i forgot my CV on computer of my university's digital library.. then next day i go and delete it from their...Thanks alot for giving such information. This is interesting to read and to know the facts behind the finding of the numbers. now in these days,it is very common for getting the cell number of girls .so how can be avoid girls regarding to their number from stranger access ,it is described here in very well manner. Nice tips. One must not really give the numbers easily to any applications especially in the mall and when you give your number to your friends always remind them not to give your number to anyone not even to your some friends or ask permission from you first. It will help for all those who take such calls as a problem. This is a real menace! my girlfriend gets these strange call alot and i believe something should be done to curb it!